This Valentine’s Day, we’re redefining romantic with bold, bright, and beautiful pieces. Embrace your passionate side and fall in love with these stylish accessories. Add them to your Valentine’s Day outfit for a look that dazzles, or spread the wonder and gift them to someone you love! Valentine’s Day is the perfect day to wear your heart on your sleeve — and on your chest. 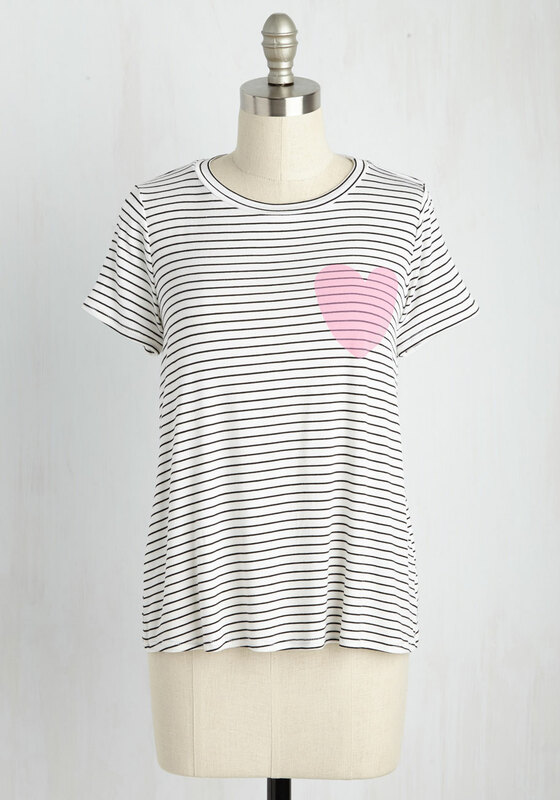 This tee is cute, casual, and fun to wear. You’ll be feeling the love all day long. 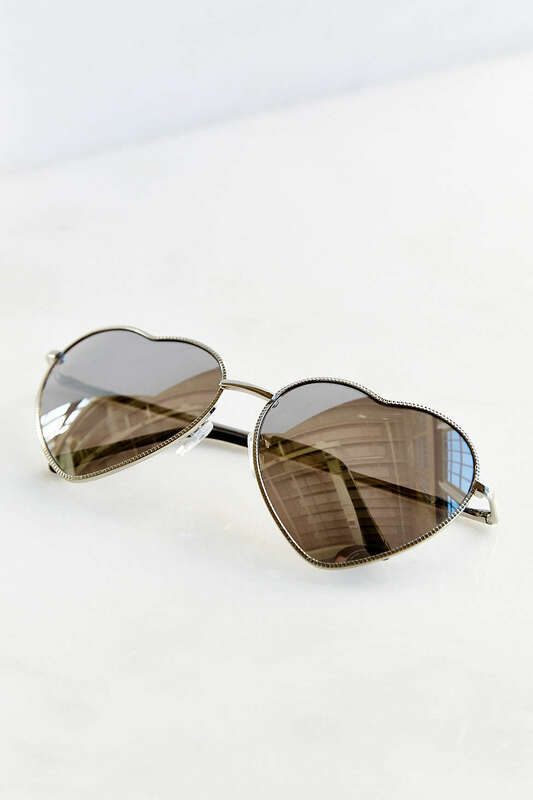 We love these aviator sunglasses with all of our heart. They look chic with any outfit and come in your choice of silver or gold. We promise you’ll wear them long after February 14th. 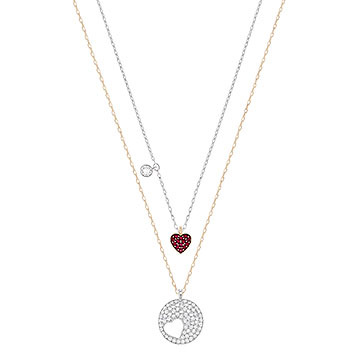 This stunning Swarovski necklace set tells a beautiful story of unconditional love: The red crystal pavé heart on one pendant fits perfectly inside the heart-shaped cutout of the other. Each piece is delicately crafted in silver and gold, and set with shimmering Swarovski crystals. You can #GiveBrilliant and gift one pendant to someone you love while wearing the other, or wear both for a trendy layered look. Shop the Crystal Wishes collection here. Cute alert! These printed tights are just what your Valentine’s Day look is missing. Dress them up with a flirty frock, or dress them down with denim shorts. However you style them, you’ll be head over heels with the results. 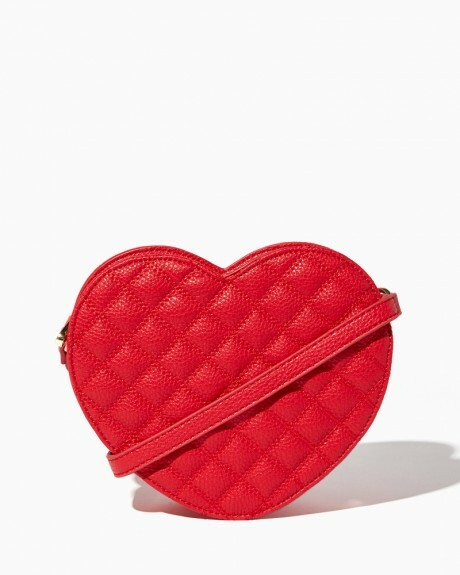 Swap your everyday purse for a sweet heart-shaped style. It has plenty of room to hold the essentials like your phone, keys, wallet, and red lipstick — plus a few of Cupid’s arrows, just in case. Slip this glamorous Swarovski bangle onto your arm and voilà: instant sparkle. It’s the perfect piece to add a little shimmer to your Valentine’s Day look. 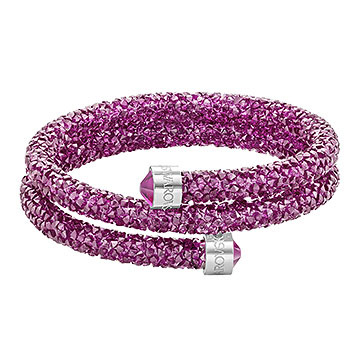 Pictured here in purple, this limited edition bangle is available in 13 brilliant colors. Are your feet cold? No prob-llama! (Get it?) 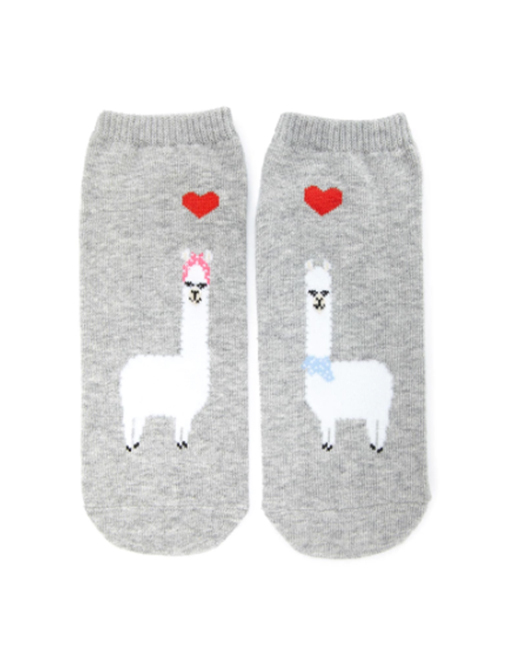 These adorable ankle socks featuring two llamas in love are just the thing your toes need to stay nice and toasty. You’ll feel the love from head to toe. It wouldn’t be Valentine’s Day without a little sugar. 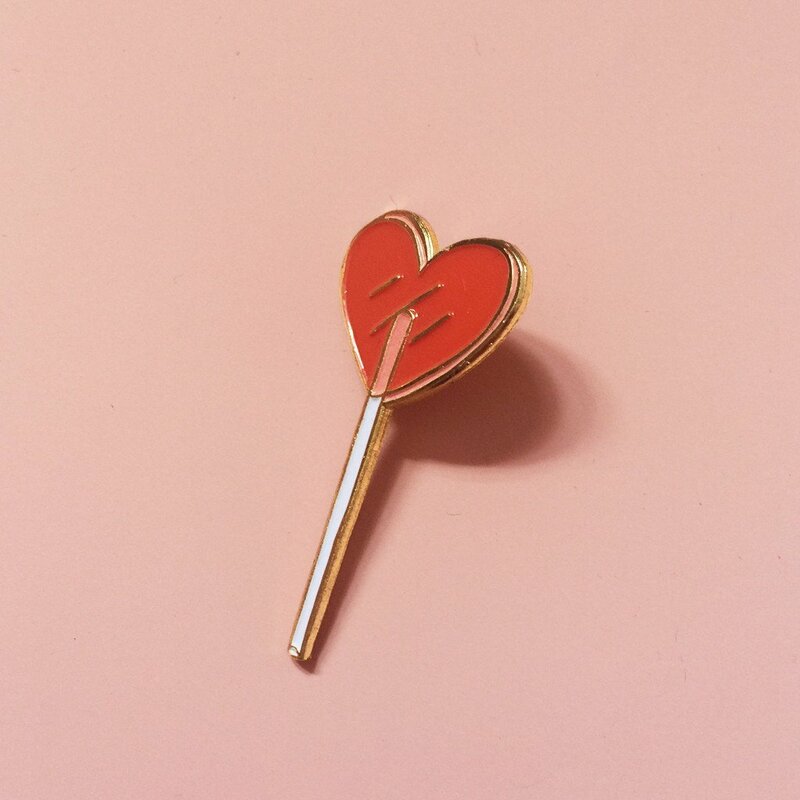 Treat yourself and pin this sweet lollipop to your outfit — you deserve it! If hearts aren’t your thing, your romantic spirit can still shine with this gorgeous Swarovski ring. It’s a modern, sophisticated, and stackable piece that’s perfect for wearing or gifting. 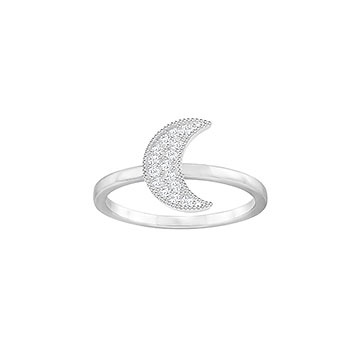 Sparkle to the moon and back, you free spirit, you.